WATCH: Why do Aussies go barefoot to the supermarket? Why is our money made of plastic? And why can't we even say 'Australia' properly? Yes, Australia is unique, diverse and sometimes a bit odd. There are things we Aussies do and say that, unless you escape your Down Under bubble, you may never even realise are just plain bizarre to the rest of the world. Why is our money made of plastic? Why do Aussies walk around supermarkets barefoot? Why is ‘high’ our second lowest fire risk rating? Why do we swear in almost every sentence? Why do Australians always sound like we are asking a question? Why do we say “I’m goin’ for a feed’ as if we are animals? Why is McDondald’s called Maccas? Why is Burger King called Hungry Jacks? Why do Australians have so much trouble correctly pronouncing ‘Australia’? 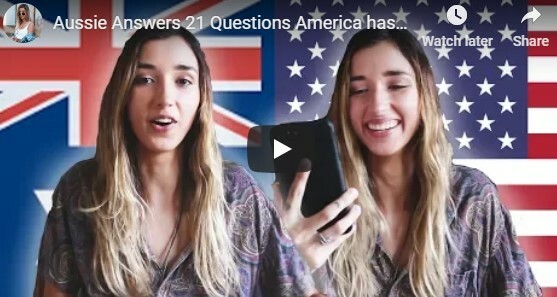 These and other burning questions are all helpfully answered by the delightful Aussie YouTuber Brianne Worth (who refuses to wear shoes to the supermarket).